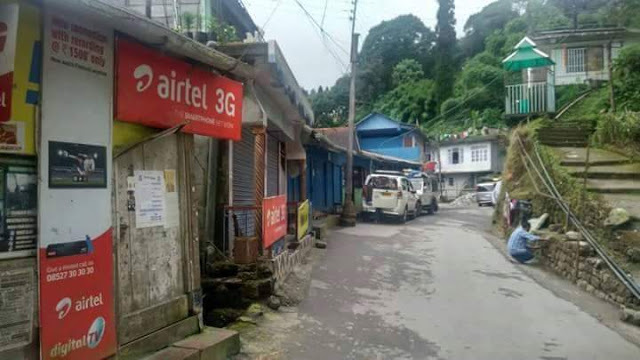 Darjeeling: Residents of Takdah have demanded that a key road under the Gorkhaland Territorial Administration (GTA) be handed over to the state PWD department. The locals have alleged that a 25km stretch of the road that links Takdah with Darjeeling and National Highway-10 could not be maintained properly by the Darjeeling Gorkha Hill Council (DGHC) - since it was handed to the hill body in 1988 - earlier or the GTA now. The stretch covers the part from the 6thMile to 27th Mile where it touches NH-10. Govind Pradhan, general secretary of the apolitical Jankalyan Samanwai Samity, on Thursday submitted a "mass petition" to the PWD through the Darjeeling DM. "Before the DGHC was formed, the road was maintained by the PWD. Right now, the condition of the road is terrible. The GTA is undertaking a major expansion and maintenance but once it is completed, we want the state PWD to take over the road," said Pradhan. Residents of Takdah have demanded that a key road under the Gorkhaland Territorial Administration (GTA) be handed over to the state PWD department.